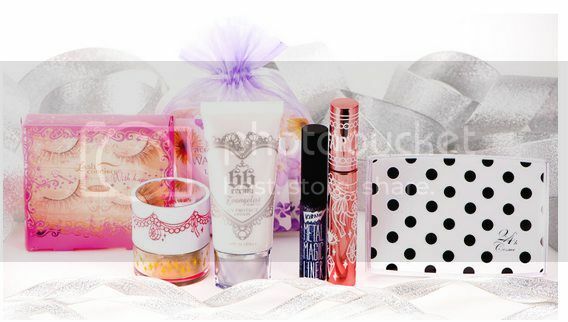 Beauty boxes have been around the market for quite awhile now for beauty junkies to try out different brands and products they are previously unwilling to commit in fear of making the wrong purchase. With that in mind, Rogue Asia Inc (a Japanese company specialising in social eCommerce) have decided on integrating Japanese beauty/lifestyle content for women with a new website: Tokyo Luxey, by not only curating a beauty box filled with Japanese cosmetics and beauty products for the Asia market, including Singapore, but also a community for fellow Luxeys to share lifestyle & beauty tips as well. 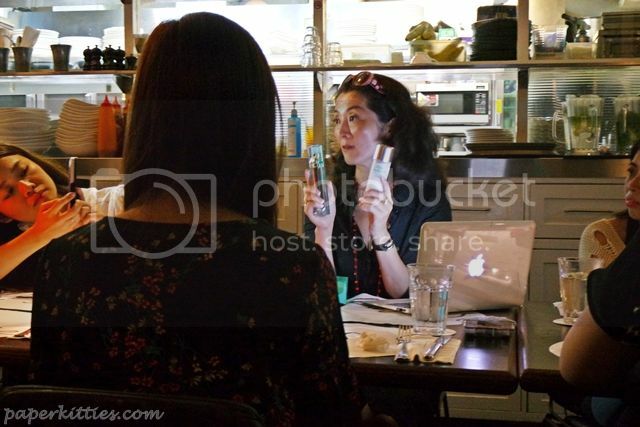 We were recently invited by Ms Chie Maeda (CEO of the company) to attend an intimate meet-up session at PS Cafe in Dempsey to know better on what Tokyo Luxey has to offer and to try out some of the products they have in store. Some of the beauty products we tried and tested out that night.. the one that won many hearts was definitely the Evangelist BB Cream with placenta, as seen on the far right. KIRAAN! Metal Magic Liner in the middle was the most disappointing of the lot though; the glitter was far from pigmented and felt like those glitter glues we used to play as a kid instead. Dinner was finally served after what felt like forever, blessed to have very friendly Luxey girls to help pass time through the horrendous wait. 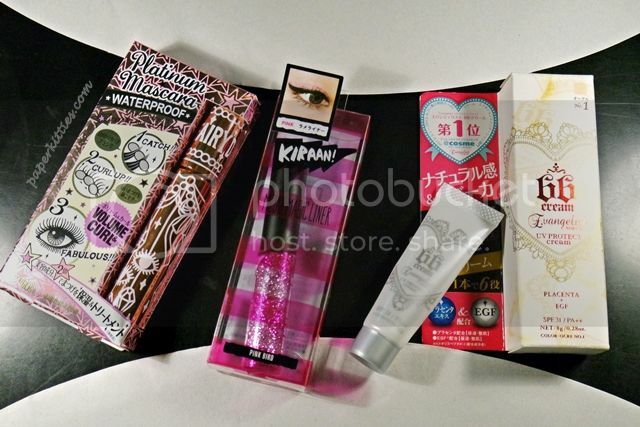 Now let’s get started with the reviews – products c/o Tokyo Luxey! Polka dots are almost every girl’s favorite prints and having it printed on the foundation casing is just super kawaii and instagram-worthy! 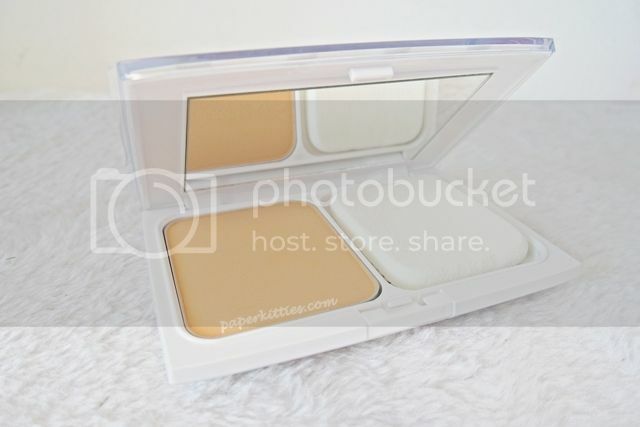 That being said, it is about the only thing I like about the product as the foundation is way too dark for my skin and I tend to steer away from powder foundation due to the unnatural finishing they tend to give. Although its texture is velvety smooth and mattifying on my skin, with a UV protection of only SPF 15 PA++ would mean that I have to apply sunblock prior to this.. which isn’t very time efficient when using it on a daily basis. Boy was it hard to find this particular brand online but here you go: Make It & Co. Originating from England, Make It & Co. products are developed and sold exclusively in Japan. This organic thyme essential washing oil is meant for oil prone skins with spots/acne problems. The sharp bittersweet natural fragrance, which I find pleasing to my nose, immediately speaks of its anti bacterial actions. It doesn’t lathers at all and instead form an emulsion when in contact with water. Skin is left feeling with a slight cooling sensation without feeling taut, very gentle and soothing on the skin. Make It & Co. Nurturing Night Cream contains one of the best anti ageing oils aka Macadamia Nut Oil, due to its richness in anti oxidants and vitamins. 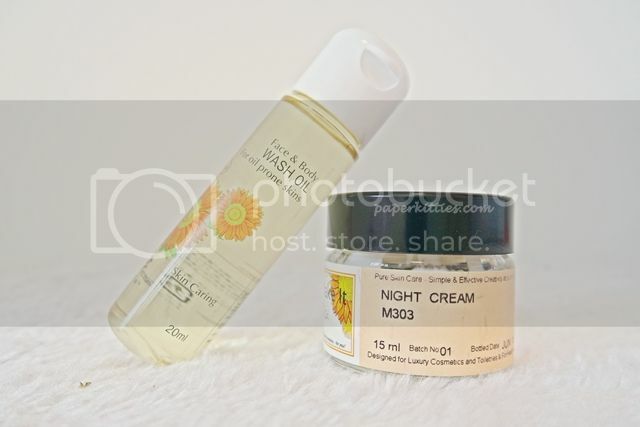 Along with Jojoba Golden Oil, this cream is a superb moisturiser. The texture is creamy and takes a bit of massaging before being fully absorbed into my skin; upon which I immediately feel a cooling sensation. 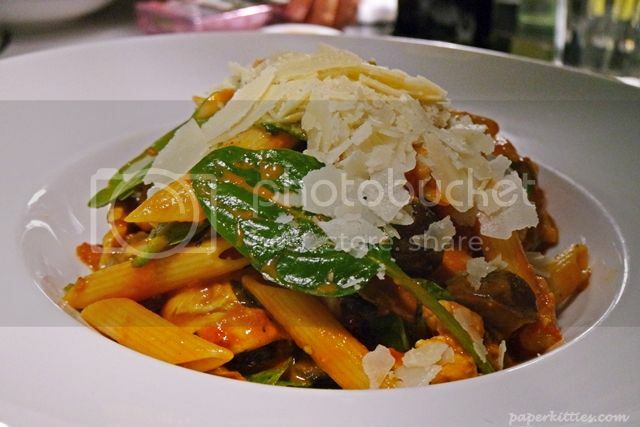 It doesn’t leave a greasy afterfeel, nor is it mattifying. But I would find this perfect as a night cream in which it soothes and calms my skin whilst protecting it from the harsh aircon that I am so used to. 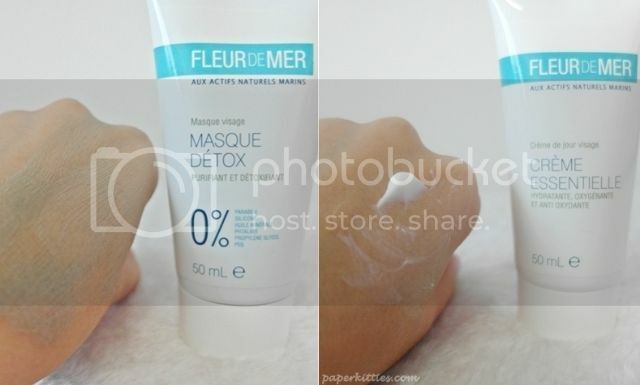 Fleur De Mer Masque Detox is basically a wash off mask that refreshes the skin by removing dirt and the tiredness from skin. Suitable for those looking to remove dullness and blackheads, it contains marine silt and sea clay to cleanse and detox the skin. It smells like calamine lotion and I find the texture very unique – very velvety and reminded me of Benefit’s Porefessional (seen below). 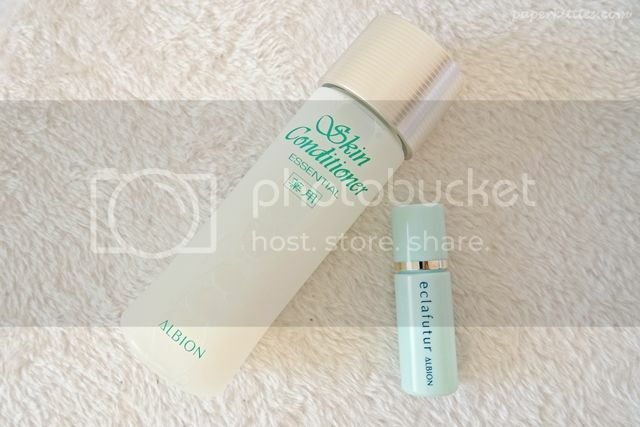 Yet one can be assured that this brand has 0% paraben, silicone, huile minerale, phtalate, propylene glycol and PEG. It’s straight forward to use, apply it all over your face for 10-15 minutes before washing it off.. my skin was left for flawlessly clean and looked much more radiant. 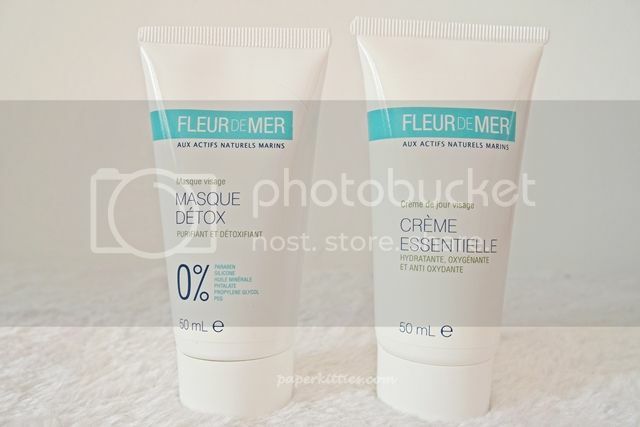 Fleur De Mer Essential Cream on the other hand is day and night cream for normal skin that aids in restoring radiance to the skin with perfect moisture and elasticity. This light-wearing cream’s characteristic is its smooth and light texture on the skin. However, do note that your skin may appear white immediately after applying, and will take awhile before settling into the skin.